Miniature lotus painting pendant on an adjustable diamond cut ball chain necklace 16+1 inch. The painting may vary slightly from the picture as each one is hand painted. The painting is encased in sterling silver and glass. 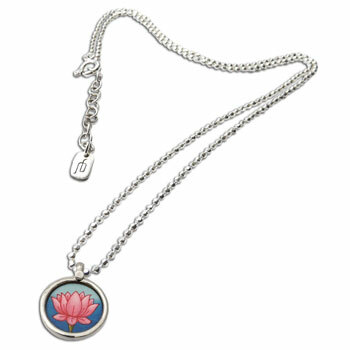 Aside from being a beautiful flower, the lotus is also a sacred flower in hindu and buddhist traditions among others. 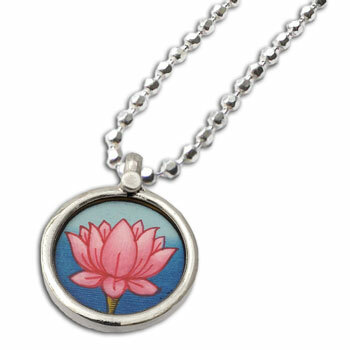 It is emerges beautiful and clean from the murky water and mud where its roots reside so the lotus represents enlightenment.